Practical Inspiration Publishing is the home of books that mean business. 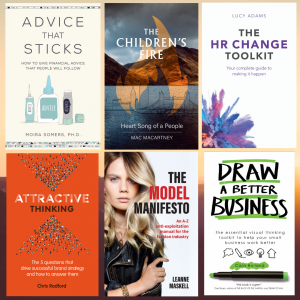 From management to marketing, parenting to leadership, HR to health, internationally recognized authorities share their expertise in brilliantly readable books with accompanying online resources. Book a publishing exploration call now! Once you've finished writing, your manuscript goes through a rigorous editing process and our brilliant design and production team turn it into a polished, professional book. Once it's published, we get your message out internationally with professional sales and distribution in print and digital formats across all channels, together with promotion and marketing support. We also partner with BookMachine's events team to offer Practical Inspiration authors a range of options to support a launch event if you choose to run one, from £800 + VAT - contact us for details.